Be Your Own Boss is aimed at the “Owner Managed” or “Home Based” Business. Whether you are about to start a business, have recently started, are developing an existing business or are just thinking about the possibility of going into business – this website should have something for you. We have divided the sections into logical steps so that whatever your stage of business or whatever information you are looking for, you should be able to find it easily. We have also been sparing with graphics for quick and easy loading – after all, if it’s information you’re looking for, pictures just get in the way! 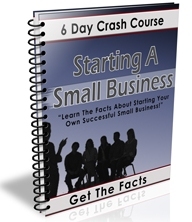 In the Articles section you will find a wide range of articles on starting and running your own small business, as well as access to email and video courses. You can access them from the Articles Tab on the top menu or from the Categories or Archives listed at the bottom of each page. I hope you find them useful. In the Profile section you’ll find out all about the business, our origins, activities and mission statement. The Biz Opps section has a wealth of ideas and opportunities relating to the start-up of a new business or which could impact on your existing business. While in the How To.. section you’ll find plenty of helpful advice enabling you to see the real issues behind the search for true financial independence. If you’d like to order any products or need any further information simply go to the Products section where you will find all manner of business goodies. Alternatively, our Contact section will give you all the usual methods of getting in touch with us. Use the site like a reference book and come back to it whenever you need information to help you run your business. As well as information within the site, you will find links to other useful resources relevant to the topic being covered. If you need further information or you wish to recommend a useful source, please use the contact form. We hope you enjoy looking over our Site, and if you find it useful come back and visit us again soon. You can also subscribe to our mailing list, so you can be informed when we update these pages. This website is produced from the perspective of doing business in the United Kingdom both offline and online. Although legal and regulatory matters may differ from country to country, the principles of good business practice are universal. The website is designed to get you thinking about your business, but it is not intended to give specific advice to any individual or business. We take care to ensure that information given is relevant, pertinant and up to date, however, we can accept no liability for anything you read in these pages or download as a result of visiting this site or for any action you may choose to take directly or indirectly as a result of using this website. The whole point of going into business for yourself is to exercise the freedoms, responsibilities and self-reliance that is often so lacking in modern western society. Having said that, there is no substitute for individual professional advice where appropriate and we recommend that all but the simplest of ventures should retain the services of a professional business accountant and lawyer at the earliest opportunity. Their advice and overview of your business will help you to avoid many a pitfall and probably save you much more than they cost. This site is subsidised by a mix of advertising revenues and affiliate comissions earned from links and recommendations to other websites and businesses. This enables us to provide the main content in pages and articles free of charge. While we take great care to only recommend products and services we believe will be helpfull to business owners, you should assume that we may receive some reward as a result of any visit you make to any website or business linked to or recommended from this website. You should carry out your own due diligence and ensure that any purchase or other action you make as a result of visiting or contacting such websites or businesses is suitable for you or your business.